Kissed with a touch of orange, this is a pure chroma color with high-tinting, organic pigments. 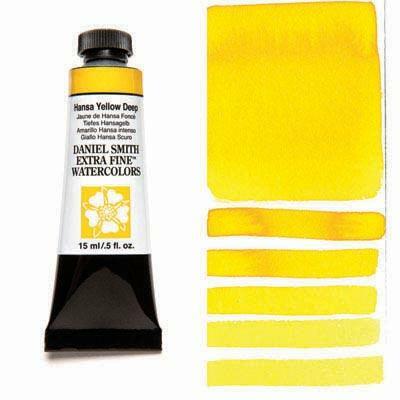 Hansa Yellow Deep is considered the ‘perfect yellow’, a fact which offers more control when mixing. Painters can admire the purity of this primary pigment and adjust its temperature while avoiding a gray from a hidden complement. Think of a yellow pepper.